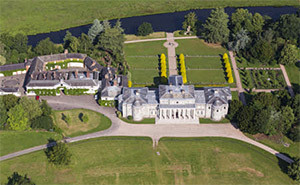 A one time Alton was the largest private house in Europe. Today it is renowned for its contemporary theme park and pleasure gardens, attracting over 2 million visitors each year. 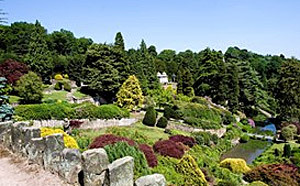 The gardens were landscaped by Capability Brown in the 19th-c and have survived largely untouched, with ornamental trees, rock gardens, elaborate buildings and a glass conservatory. Don's miss the lovely Pagoda fountain. Lovely riverside terraces grace much of this 900 acre site. The grounds and gardens contain many flamboyant follies such as a Triumphal Arch, exotic Chinese house and a Doric temple. There is also a County Museum, a rare breeds farm, and a working corn mill. Thousands of grasses that provide structural interest for all seasons. A 70 acre wonderland with a magnificent grassed area known as Rivers of grass created by Dutch designer Piet Oudolf. 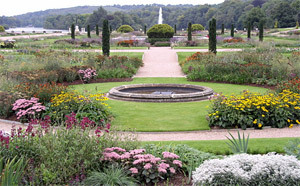 More than just grasses are on dislplay here, the formal Italian Garden contains more than 80,000 perennials. 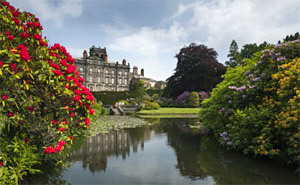 Other highlights include woodland trials, lakeside walks and capability Brown landscape parkland.